When you think “fashion”, the place that least comes to mind is Amsterdam. Katie Grigoratou, the designer of Morelle Handbags is finally putting it on the map. This extrodinary city served as a huge inspiration for Grigoratou and it shows — her latest collection of from-day-to-night bags are surprisingly luxurious and stand out on their own with any outfit. Grigoratou’s story is like that of many aspiring designers. Having always loved to design and sew, she started making bags with inspirations she drew from the historic city of Amsterdam as well as everyday situations in her life. Grigoratou started selling her bags on Etsy and after having mega success on the site officially launched her line in 2008. Grigoratou’s mission was to design functional quality bags that would still stand out in the middle of a busy city. 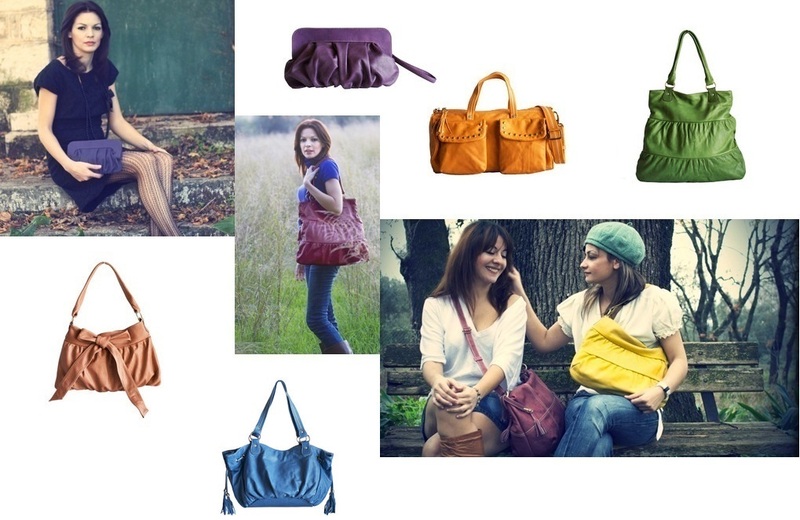 Her obvious love of color can be seen in her Spring/Summer 2010 line which is filled with über-practical bags in beautiful shades of peach, orange, aqua and roseberry among others. Morelle handbags are also produced with lavish Italian leathers that are naturally tanned and vegetable died with no chemicals — producing quality handbags while being environmentally friendly is also extremely important to Grigoratou. Whether you plan to go for a casual brunch on a summer Sunday or a dinner date on a snowy Wednesday, Morelle handbags will always make a great addition to your wardrobe and a fun indulgence for yourself — none of the bags are over $300. And if you are ever in Preveza, Greece don’t forget to visit their first shop opening soon. This entry was posted in Designer Spotlights and tagged Katie Grigoratou, Morelle Hnadbags, new bags. Bookmark the permalink.